“Hi, I’m Sophie White and I have two loves in life – photography and people. When it came to a career choice, it wasn’t difficult! The more I know a person, the more it helps me capture that special moment. Those moments are memories to treasure forever, and I’m dedicated to creating the very best experiences possible. Your life experiences are stories there to be captured. It is the job of a skilled photographer to offer guidance as to how to that story can be embraced in the most wonderful of ways. Sophie’s people skills and ability with the lens have repeatedly delivered a service way beyond expectation. She has a great and natural versatility in being able to communicate with a vast array of people. Portrait work with children, for example, may be seen as unpredictable by some photographers. Not for Sophie. Calm, relaxed, and reassuring, she understands how to put youngsters at ease and has experience with autism and ADHD. As a Banpas member she invests in continued professional development to stay at the forefront of baby and newborn photography techniques and certified practice. Again and again, Sophie delivers the images that parents want – even in the melee of a baby cake smash party! That love, that passion, for her work, is what makes Sophie so sought after. Hundreds have her memories on walls, in frames and in albums. And she would love to do the same for you. Sophie works unobtrusively and sensitively, building a relationship with each and every client to make sure she understands every wish. 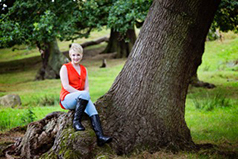 Approachable and relaxed, she has the ability to portray the very essence of your story. Call Sophie on 07907 239 557 to discuss your story or click here to send what you’re looking for.